As a Twelfth Night special we are today posting highlights of Hayley's marvellous Christmas Presence concert from the Wales Millennium Centre on 9 December 2006. This was broadcast on ITV1 Wales on December 22 that year and to the best of our knowledge, has never been made commercially available. As this is now unlikely to happen, we present it here for the historical record. We have previously uploaded to our Youtube channel at various times seven of Hayley's individual songs from the broadcast but now, for the first time, you can see all of them together including six additional songs (not all by Hayley) to preserve the overall flavour of the concert. Occasional sound imperfections are from the original recording and may have originated at the concert hall (issues were reported by an HWI member who attended the concert). Initially, this 40 minute concert video will be viewable only via this page on the HWI website, or by sharing the direct Youtube link. 14. We Wish You A Merry Christmas - Choir, Hayley and all. Edited down by HWI from the edited highlights broadcast on ITV1 Wales in December 2006. 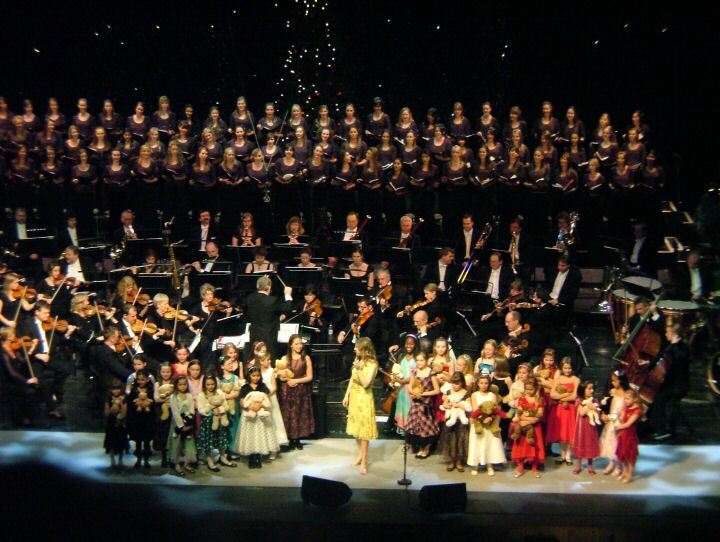 Recorded at the Wales Millennium Centre on 9 December 2006.